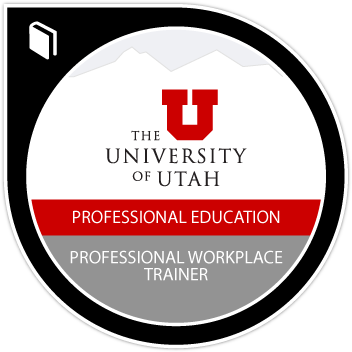 Badge earners are able to analyze training needs, develop curriculum, manage training processes, and deliver workplace training programs. Students can implement coaching techniques to assist others in skill development. Attend course "Skills for Workplace Trainers"
Attend course "Advanced skills for workplace trainers"
Attend course "Facilitation Skills Development"
Attend course "Effective Curriculum Design"
Attend course "Coaching for Success"